mtravis – ARES Institute, Inc. This is what started our investigation of hypergolic propellants based on hydrogen peroxide. After realizing that silver catalyst beds were too expensive and unreliable for orbital launch vehicles, historical research led to the work performed at Sandia National Labs early this century. They investigated blending the catalyst within the fuel itself to create a hypergolic bi-propellant. This research served as the foundation for our partner Aphelion Orbitals’ work on a full-scale propulsion system using this concept. “It isn’t rocket science,” except when it is. 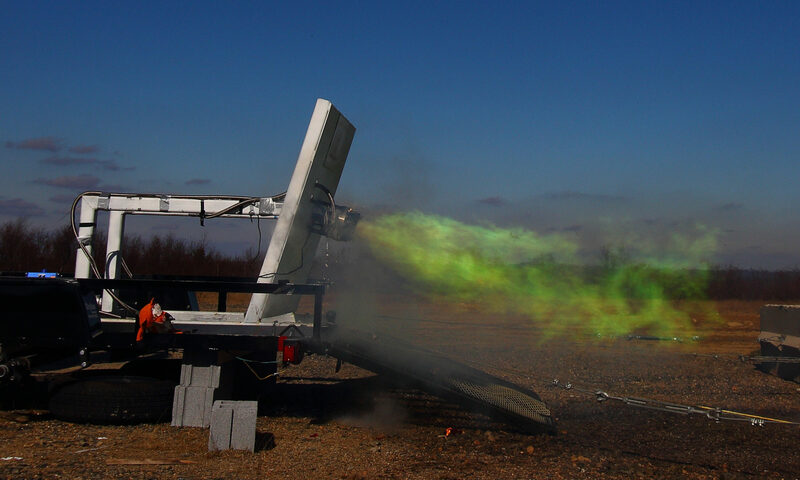 On November 8, ARES Institute’s partner Aphelion Orbitals, Inc. successfully conducted a demonstration test fire of a flight-scale storable, non-toxic and hypergolic propulsion system for the first time. The test proved the viability of the technology that will power the first and second stages of the company’s Helios nanosatellite launch vehicle. The test occurred at Schuylkill County Airport in eastern Pennsylvania.